With the fall season right around the corner, smart travelers are already looking for good deals and great tips on how to enjoy their holiday travel this year. Be it Thanksgiving, Christmas, or events in-between, traveling can be a challenge to say the least. 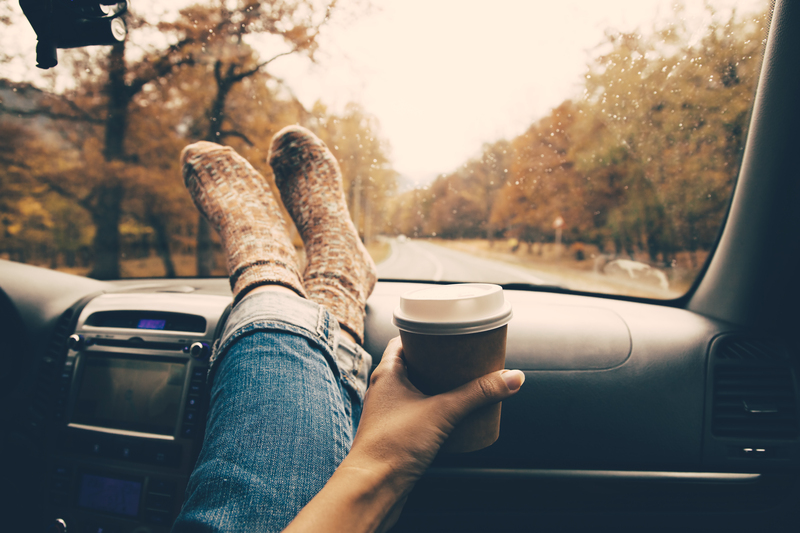 To help you stay ahead of the (stress) curve, we decided to use our blogs this month on some tips that we have found online that will hopefully make your travels to and from our apartment community in El Paso, Texas, this Thanksgiving (and other holidays) a lot more enjoyable this year. We’ll send along our thanks to the Travel Channel who has enlightened us with the following tips. It's never too early to start your holiday travel planning. In the early fall, you can take advantage of lower rates and seats aplenty. To jump on a bargain, sign up for sale notifications from your preferred airlines or Amtrak and follow your favorites on Twitter and Facebook where special sale notifications may pop up before they are available to the general public. As more airlines start charging for checked bags, it's a good idea to pack light and carry on your bag. But keep in mind that your fellow travelers will all have the same idea and overhead space may be tight onboard. To lighten your traveling load, consider shipping some of your belongings to your final destination ahead of time, especially presents and bulky items like diapers or extra clothes that you won't need for the journey. The day before Thanksgiving is the busiest travel day of the year closely followed by the Sunday after the big day when travelers tear themselves away from the leftovers and football to make the journey home. Christmas has a similar pattern. Avoid these days by flying out on Monday or Tuesday if the holiday schedule makes sense. When you're ready to head home, take flight on Friday when the masses have moved on from the airports to the shopping centers to score the best holiday deals. The crowds pick up again on Saturday, reaching a critical peak on Sunday, before leveling out on Monday. It's commonsense to arrive at the airport early — you'll need the time for parking, security and to wait your turn for that necessary cup of coffee. But you can avoid some airport hassles by taking advantage of useful applications that can be used on your smart phone. iPhone users can get the skinny on the airport, including maps showing the gates and restaurant information, using the GateGuru app. Airlines including Southwest, Delta and American Airlines all have mobile websites where passengers can check in, confirm seats and keep track of their flight status. Plan your route ahead of time and travel with a GPS system, smart phone or old-school maps to offer alternatives if you need a Plan B. While you certainly save money and avoid some headaches traveling by land, navigating the highways presents its own set of holiday challenges during the extended Thanksgiving holiday weekend. Traffic can choke heavily traveled routes adding hours to generally speedy trips. Follow the same best practices for road travel, including avoiding the highways on the Wednesday before turkey day and the following Sunday. Plan your route ahead of time and travel with a GPS system, smart phone or old-school maps to offer alternatives if you need a Plan B. And to avoid unnecessary delays, bring along an E-ZPass or change for the tolls, as well as plenty of snacks, and be sure to fill up on gas before you hit the road. Although traveling during the holidays has its challenges, when all is said and done it give us all a chance to really unplug, unwind, and spend good times with family and friends. On behalf of the entire team at Cantera we wish you the best of success in planning your holiday travels. If you happen to decide to stay at home, we’ll look forward to sharing the seasons with you!